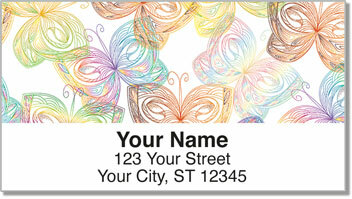 Artistic illustrations of colorful butterflies with weirdly wonderful patterns on their wings will make your outgoing mail stand out! Inside your imagination, you are free to dream about what seems impossible, to come up with incredible ideas and live out your wildest adventures. 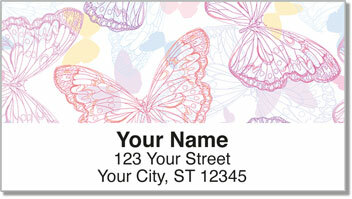 Just like the butterflies on this unique set of return address labels - you have no limits! 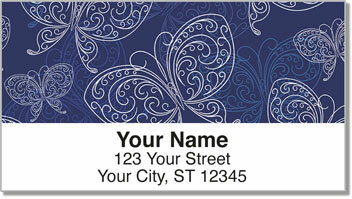 Butterfly Print Address Labels feature four unique styles that add some exciting personalization to every envelope. Plus, you'll never have to scribble your name and address on a piece of mail again! 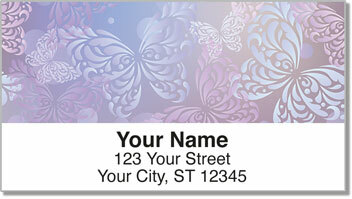 Get your own Butterfly Print Address Labels today! This attractive selection can also be ordered as matching personal checks.